BUYING! X Checkout $49.99Buy Now! 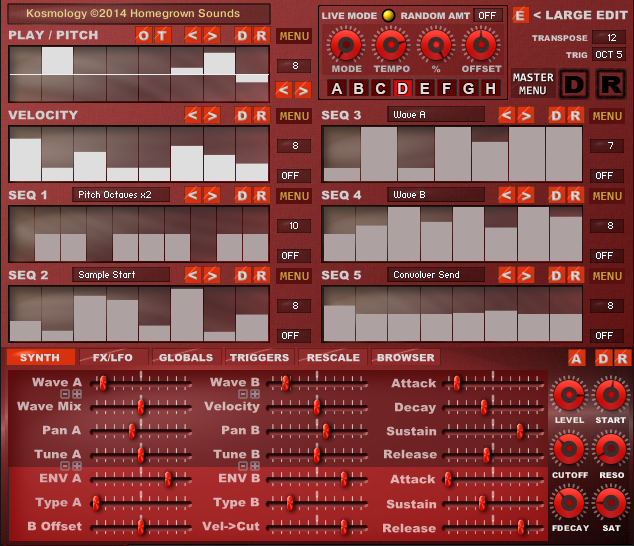 Kosmology - Space by Homegrown Sounds is Soundware (e.g. samples or presets that load into other products). The 5th Kosmology Release has arrived, designed with both Kosmology and Metropolis in mind. In contrast to previous Kosmology Releases, Space is a more ambient soundset, the filter is less open and the instruments have been softened & effected. They are also designed with the new Metropolis script in mind to create a Playground for making interesting Pads. 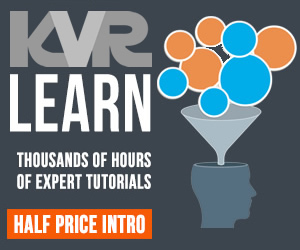 If you are new to Kosmology you can get FreeFall for free from here to experience Sequencing Heaven. All 200 instruments are multi-sampled, using 4 samples per instrument at 24-bit. Whilst most sounds are chromatically useful, there are also plenty of FX instruments throughout the collection to add some nice surprises and interests whilst Wave Sequencing. Although Kosmology is not really about presets considering how easy and fun it is to make your own, there are Fifty Presets included and of course presets from other Kosmology Releases can also be opened. Also introduced with Kosmology v1.2 is the new script Metropolis which dispenses with the Sequencers and Rescalers, but keeps the rest of Kosmology. This is useful for playing the Kosmology Sampled Instruments as traditional instruments and opens up a new world of creative possibilities for the Kosmology Sample sets. Like Kosmology it works with 8 instances which can be switched on the fly and so can be used to have radically different sounds or provide subtle changes such as different FX or Filter Settings. It is completely up to you, all 48 parameters can be completely different. Kosmology for Kontakt 5 is inspired by Modular based sequencers with the aim of providing 8 completely distinct multi-sequencers which can be switched in real-time using 8 keys on your MIDI Keyboard. A Kosmology release includes the Sequencing Capabilities combined with a set of multi-sampled instruments which form the basis of it's character. It mimics a classic dual oscillator synth structure in it's design with complete control over all parameters, and is also capable of Wave sequencing the Instruments. 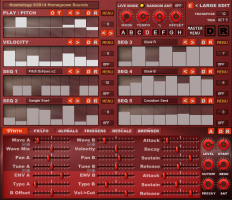 Although Kontakt is known more as a Sample Preset Plugin, Kosmology is akin to a hardware Groovebox with onboard sounds to sequence and manipulate in almost infinite ways. v1.2 Adds a bonus script Metropolis which is basically Kosmology without the Sequencers allowing the Samples to be used in a traditional way, but keeping the 8 instances for live switching. Convolution Reverb -Uses Kontakt's Convolution engine with a selection of 50 unique Impulse Responses.